A Ceramic-Surface: if you want a flat-iron that is safe for your natural-hair then consider getting one with a 100% ceramic surface or even one that is solid ceramic-infused with tourmaline or titanium. In fact, avoid flat-irons with a Nano-ceramic material because they have a cheap filler-material that will not heat-up as evenly as true-ceramic even though they are coated with a thick outer ceramic-layer. A Tourmaline or Titanium-Infused Design: Although all the best natural-hair flat-irons are made of solid ceramic, some good flat-irons are also infused with Tourmaline or Titanium. in fact, Titanium is a strong lightweight metal and Tourmaline is a semi-precious stone both materials are excellent at reducing hair frizz and straightening the most stubborn hairs. An Adjustable Temperature-Control: in you have natural black-hair then it’s a must to acquire a flat-iron with an adjustable temperature-control. In fact, low-end flat-irons without temperature-controls can be very dangerous to use on type 3 and 4 hair. Smaller Plates: Most mid-range and high-end flat-irons come with plates that are about 1-inche or 1.5-inches and these are actually great to use on your natural-hair. However, flat-irons with plates of 2″, 2.5” or even bigger are not good because they make it easier for you to accidentally over-iron causing serious damage to your hair. Additionally, larger-plates also make it more difficult to get all the way down to your hair-roots. Auto Shutoff Feature: several home-fires are caused by unattended to flat-irons every year. so, this is why it’s very important to get a flat-iron with an auto shut-off feature that will help to cut-off power after a certain period of non-use. In fact, not all flat-irons will be equipped with an auto shut-off and that’s why you need to check whether the flat-iron you’re about to purchase has this feature. Tips On How To Flat Iron Natural Hair? Wash your hair first: the best way to flat-iron your natural-hair is after washing and conditioning it. In fact, straightening hair that contains any hair-products or dirt makes your hair clogged-up, sticky and even smelly. So, gently scrub your hair with good conditioning-shampoo and then rinse it out with Luke-warm water. Condition hair after washing it: a hair-conditioner helps to strengthen and moisturize hair in-order to keep it looking healthy. So, condition your hair prior to flat-ironing it. In fact, on the day you plan to straighten hair, apply and rinse-out a daily-use moisturizing-conditioner while showering. Apply a heat-protectant to hair before blow-drying & flat-ironing: heat-protectants are a great way of preventing damages caused by heating-tools. In fact, heat-protectants usually contain silicon that coats and protects your hair from heat of a dryer or flat-iron. Lastly, most heat-protectant can be applied on wet or dry hair and just spray over hair twice before blow-drying and then straighten it. Let thin/fine hair air-dry: if you have fine or thin hair that is prone to breakage, then consider air-drying it in-order to minimize on the heat-damage that may be caused by a blow-dryer before the straightening process. So, it’s recommended to air-dry your hair overnight before flat-ironing it. Blow-dry hair with a thick or coarse texture: if you’re hair-strands are thick and don’t usually break, then it’s ok to use a blow-dryer over your hair but leave your hair to partially air-dry for about 20-minutes before blow-drying. Afterwards, set the blow-dryer to a low or medium heat-setting and then fully dry-out your hair. Divide hair into sections: before you begin straightening your hair, divide it into several sections. So, use clips to pull-up most of your hair and then let down a thin layer of hair and the base of the head. As you straighten-up hair, let-out some hair from the clip until the entire head is straightened-up. Brush each section before flat-ironing: brushing through each section will help to smooth-out your hair and it smooth locks. So, use a paddle-brush or wide-toothed comb to avoid pulling hair or breaking hair-strands. Set your flat-iron to low-temperature: after drying-up your hair, get your flat-iron and set it to a low-temperature setting in-order to decrease on hair-damage during the straightening-process. So, consider setting your flat-iron to about 150 °F (66 °C) or less for best results and don’t increase the temperature if your hair doesn’t straighten-up. Start straightening from the roots of hair up to the tips: in-order to achieve the best straightening results; you will need to start flat-ironing at the roots of your hair as you slowly run down to the tips of your hair. In fact, you should press-down the flat-iron and maintain the same pressure as go down to the hair-tips. Straighten every section until your look is complete: it may take you a while to flat-iron every section depending on how thick your hair is. However, be patient and don’t try to rush the straightening-process. In fact, you can take a break for about 5-to-10 minutes and then start-up again until your entire head of hair is straightened-up. The BaBylissPRO Nano Titanium-Plated is an advanced Straightening-Iron equipped with ionic-technology coupled with titanium-plated plates in-order to provide you with the smoothest and sleekest hairstyle. In fact, this straightening-iron uses negative ions to reduce on hair-frizz while the stay-cool Ryton® housing helps to resist ultra-high heat thus facilitating for comfortable handling. Additionally, the integrated ceramic-heater produces instant heat up to 450°F while fast heat-recovery facilitates for styling efficiency with no damaging hot-spots. All in all, this flat-iron will help to straighten-up your hair faster with amazing and lasting results. Digital ionic technology: The BaBylissPRO Nano Titanium-Plated Straightening Iron is equipped with Digital Ionic-technology that emits millions of negative-ions giving you static frizz-free hair for professional straightening results. 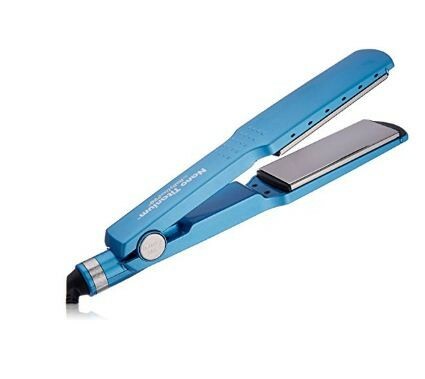 Titanium plates: The BaBylissPRO is a Nano Titanium 1 3/4 “Titanium-Plated Straightening-Iron with ultra-smooth titanium plates that conduct ultra-high heat and resist corrosion thus leading to optimum durability. Ceramic-heater: This flat-iron is also equipped with a ceramic heater that helps to ensure instant heat-up and recovery making this flat-iron a perfect for use on natural-hair in-order to achieve quick results. LED Temperature-Settings: The BaBylissPRO features Adjustable, LED temperature-settings up to 450°F in-order to provide you with smooth and shiny hair-straightening results. Ryton® housing: it features ryton® housing that helps to resist ultra-high heat making this flat-iron very comfortable to use and hold when drying-up your natural-hair. The LumaBella Keratin is a Dual Touch Hair-Straightener equipped with innovative ceramic-plates infused with keratin micro-conditioners that easily transfer to hair during styling in-order to provide you with healthy shine and smoothness without oily-residue. Additionally, the integrated embedded heat-sensor strips help to detect hair-exposure to excessive heat and then adjust to a personalized heat-setting for optimal straightening but with less damage while the 1-inch ceramic floating-plates deliver uniform heating with smooth glide and optimal grip onto hair. 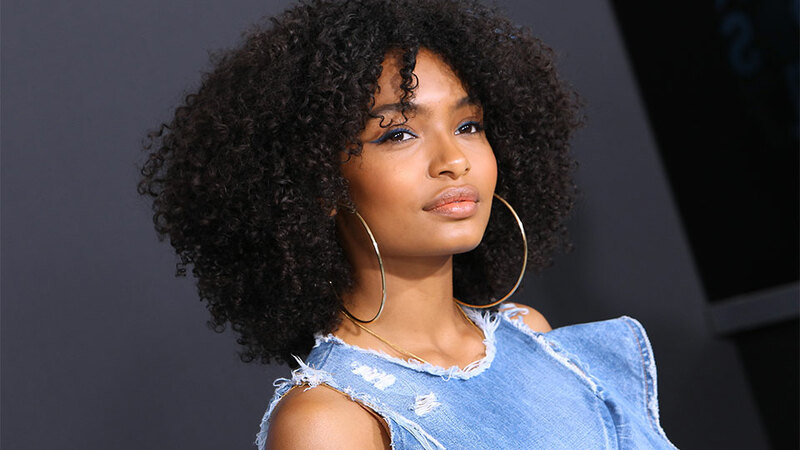 In fact, its smaller plate size and style will enable you to achieve a variety of styling-options from wavy-curls, sleek-styles to straight-styles. Lastly, this flat-iron will allow you to choose from 5 heat-settings ranging from 300º F to 450° F making it a perfect heating-tool to use on different hair-types and to achieve multiple styling-options. 1” Ceramic-Plates: the LumaBella Keratin Dual Touch Hair Straightener features high-quality, floating ceramic-plates that help to deliver uniform heating coupled with smooth gliding from any angle when straightening your hair. In fact, these plates will help you achieve a sleek, shiny and beautiful hair that will last all day. 5 Heat-Settings: The straightening-iron is equipped with 5 heat-settings that range from 300º F to 450° F in order to help you achieve a hair-styles and even makes the Straightener perfect for use on different types of hair. Smart Heat-Sensor: it integrated heat-sensor-strips help to detect excessive-heat and then automatically adjust temperature-levels during styling in-order to protect your hair from damage. In fact, these heat-sensors can easily detect hair-dryness and damage while protecting your hair from excessive-heat during the straightening process. This in-turn results into shiner and healthier hair 50% less-damage, less-breakage and splitting. Keratin Micro-Conditioners: The LumaBella straightening-iron plates are infused with keratin micro-conditioners that easily transfer to your hair during styling for shiny-hair. in fact, these micro-conditioners evenly emit during styling without producing oily-residue. 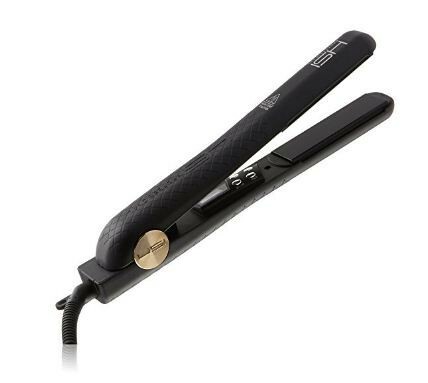 The HSI Professional is a Glider-Titanium and Tourmaline-Ionic Hair Straightener designed to specially straighten and curl-up your natural-hair. In fact, this flat-iron’s ceramic-plates feature 8 HeatBalance micro-sensors that help to regulate temperature and evenly distribute heat so that fewer passes are required to style your hair. On top that, this flat-iron is equipped with adjustable temperature-settings ranging from 200F-to -450F thus giving you greater-control that is required to achieve a perfectly sleek and smooth hairstyle. Additionally, the 100% true-solid titanium tourmaline plates use infrared heat-technology to heat-up in seconds in-order to help you achieve fast styling-results at any time while its round body-shape and curved-edges help to create great straightening, flipping and curling results with less-effort. Ceramic ionic-system: The HSI Professional flat-iron uses a revolutionary ceramic-ionic system to hydrate and add shine to your hair during the styling process thus making it perfect for use on natural-hair. Micro-Sensors: The HSI Professional features high quality ceramic-plates that use 8-HeatBalance micro-sensors (4 on each plate) in-order to regulate temperatures while evenly distributing heat so that fewer passes are taken to achieve hairstyle. Adjustable temperature settings: it features adjustable temperature settings ranging from 200F-to-450F in-order to provide you with greater-control that is required to achieve a perfectly smooth and sleek look on all hair-types. Solid Ceramic-Tourmaline Plates: The HSI Professional flat-iron is equipped 100% true solid ceramic tourmaline plates infused with ceramic in-order to facilitate for quick heat-transfer and optimum durability. Infrared-Heat Technology: This flat-iron uses advanced infrared technology to get the plates hot in seconds so you don’t have to lose any time while styling your hair most especially in the rush-hours. In fact, you just need to hold the power-button for 3-seconds and the plates will heat-up instantly. Balanced Heat Plates: the balanced floating-plates with curved-edges facilitates for easy and continuous adjustment of angles in-order to avoid snagging your hair and to provide you with more control during the hair-styling process. A Dual-voltage system: this flat-iron also features a dual voltage power-system that allows it to operate on different volts ranging 120v-to-220v hence making it a perfect travel hair-styling-tool to any part of the world. The HSI Professional Digital is a Ceramic-Tourmaline Ionic Flat-Iron/Hair-Straightener designed to help you achieve a fast hair-straightening results while leaving you smooth and sleeky hair. This flat-iron is equipped with Digital-LCD Temperature Control with adjustable temperatures from 240F-to-450F 240F so as to provide you with greater-control that is required to achieve a perfectly smooth and sleek look on all hair-types while its ergonomic round body-shape design allows for unique flips and curling-styles so that you can always achieve the look you like. 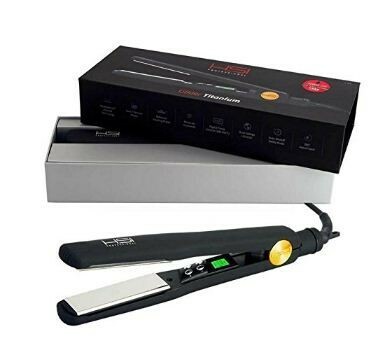 on the other hand, this flat-iron features 100% True Solid ceramic tourmaline plates that use advanced infrared heat-technology to heat-up in seconds just after pressing the power-button for about 3-seconds hence saving you alot of time especially when in a hurry in the morning. All in all, even women with the most stubborn hair-types will be able to achieve great hair-styling results without frizz and breakage when using the HSI Professional Digital flat-iron. Digital LCD Temperature Control: The HSI Professional flat-iron features an in-built LCD-Screen that lights-up to show the power-level and heat-level. in fact, this display features heat controls of with a + or – sign in-order to facilitate for quick and easy adjustments but there is also a separate button meant for the 450-degree setting and its located just next to the power-button. In fact, there are only 4-buttons right next to the LCD-screen in-order to facilitate for easy control of the flat-iron. Ceramic ionic-system: The HSI Professional Digital Ceramic flat-iron uses a revolutionary ceramic-ionic system to hydrate and add shine to your hair during the styling process thus making it perfect for use on natural-hair. Smart Infrared-Heat Technology: This flat-iron uses advanced smart infrared technology to get the plates hot in seconds so you don’t have to lose any time while styling your hair most especially when in a hurry. In fact, you just need to hold the power-button for 3-seconds and the plates will heat-up instantly. An ergonomic-body: the HSI Professional Digital Ceramic flat-iron features an ergonomic design that features a round body-shape coupled with a unique 360-swivel power-cord that facilitates for quick and convenient use when styling-up your hair. A Dual-voltage system: the HSI Professional Digital flat-iron also features a dual voltage power-system that allows it to operate on different volts ranging 120v-to-220v hence making it a perfect travel hairstyling-tool to any part of the world. 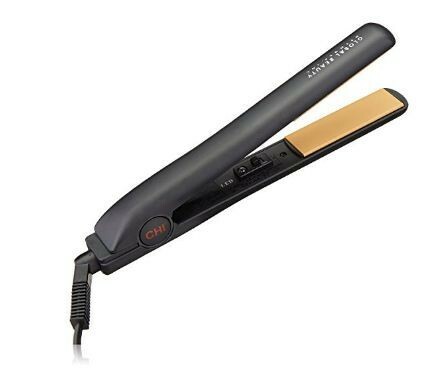 The CHI Original is a professional 1-inch Flat-iron with a versatile all-in-one ergonomic design for comfortable use when styling your hair. in fact, this flat-iron utilizes the latest innovative technology of ceramic plates that facilitates for even heat-distribution by producing an exceptionally high-amount of negative-ions and far-infrared waves which help to reduce on static-electricity in-order to help you achieve a perfect hairstyle that looks smooth and silky with great shine. on the other hand, the flash-quick heating features helps to heat-up the plates to up-to 392°F to ensure fast hair-styling results while its dual-voltage design makes it perfect for use in different countries around the thus making it a great travel styling-tool. All in all, the CHI Original Hairstyling-Iron is ideal for creating different hairstyles which may include: straight, curls, waves, spirals, flips and bends in-order to help you achieve your own unique hairstyle. Ceramic-technology: the Chi Original Professional flat-iron uses the latest ceramic-technology integrated into its plates in-order to facilitate for even heat-distribution while producing an exceptionally high-amount of negative-ions that helps to straighten-up even the most stubborn or coarse hair and even add moisture and shine to your natural-hair. So, this makes this flat-iron perfect for use on different hair-types. 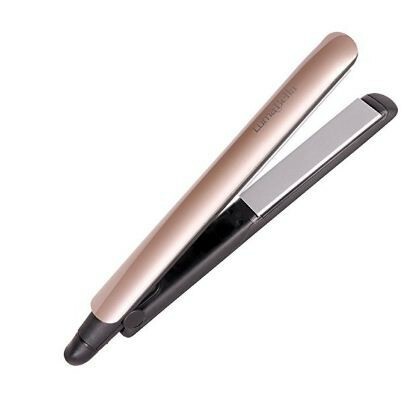 Far-infrared heating: this flat-iron also uses far-infrared waves to penetrate hair from inside-out while reducing on hair-frizz and static-electricity. In fact, this will facilitate for fast styling results with silky-shiny hair instantly. So, you will be able to straighten, curl, flip and create waves within your hair while using this flat-iron. Flash Quick Heating: with flash quick heating technology, this flat-iron’s ceramic-plates can be instantly heated to up to 392°F in-order to provide you fast hair-styling results especially when in a hurry. However, this flat-iron’s temperatures are non-adjustable and this implies that those with sensitive natural-hair may consider not using it but rather go for a flat-iron with adjustable-settings for best styling results without causing damage to hair. An ergonomic design: this flat-iron features an all-in-one ergonomic design that facilitates for easy maneuvering while styling your hair. In fact, with this flat-iron you will be able to curl, flip, wave and straighten your hair comfortably compared to most flat-iron brands on the market. A Swivel-cord: The Chi Original Professional flat-iron is also equipped with a 360-swivel power-cord that facilitates for quick and convenient use when styling-up your hair. Additionally, this swivel-cord is about 11-feet long in-order to allow you style-up at any given distance away from the power-source hence making this flat-iron perfect for use on the bathroom counter-top or any other area that makes you feel comfortable during the styling-process. Dual-voltage: The Chi Original Professional flat-iron also features a dual voltage power-system that allows it to operate on different volts ranging 120v-to-220v hence making it a perfect travel hair-styling-tool to any part of the world. So, if you’re travelling this season then don’t forget to take this flat-iron with you in order to keep your natural hair in shape daily. Low power-consumption (45-watts): The Chi Original Professional flat-iron is designed to use less power in order to help you save on electricity-bills. in fact, this flat-iron uses only 45-watts making it a perfect home-appliance for those on budget. This marks the end of this detailed review on the ‘’Best Flat Irons for Natural Hair – 2019’’ They can also be used by African American Women.